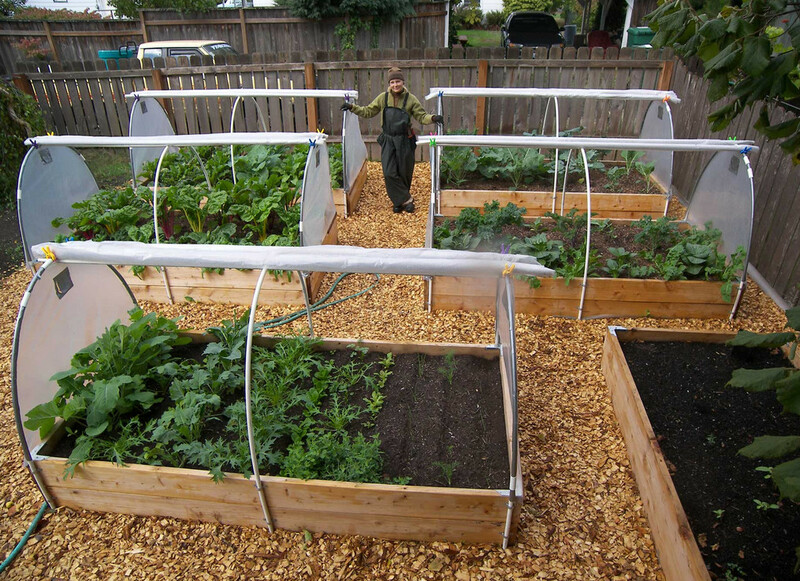 Will you just look at this beautiful vegetable garden? It is not magic, just creativity! So, pour sawdust or wood chippings on all paths in your backyard. Using wood to create side edges for your garden, raise a garden with soil and plant vegetables. Then create simple green houses above and around your plants.